Tania Vaughan: Do you need to install an update? 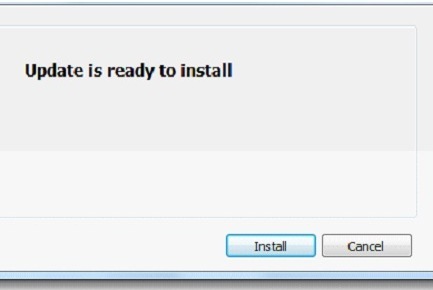 Do you need to install an update? I am always getting update messages! Everything needs updating. 'Ping' and there's another update reminder message. Even my wardrobe gets updated, my anti-wrinkle cream and my gym membership. To keep my technology and my body in good condition, running well and working at it's best there are updates. And the lengths people go to for these updates. Trawling the net searching for the best deals, queuing at midnight to get the latest, or getting to the shop at 6am when the sale starts to update the wardrobe! Why are we forever updating? We're told it's all better, the media and advertising love to tell us that if we update our wardrobe, have the latest software or the most up to date age defying technology then we will be happy, we will be better in ourselves, even be a better and younger version of ourselves. Do our hearts really find happiness in these updates? How do we actually update our heart? And where is the 'ping' message reminding us? God tells us that we do need updates. "Come to me all you who are weary and burdened and I will give you rest"
The more time we spend in His presence reading His word and praying the more the Holy Spirit 'pings' to let us know we need an update. We pray with Psalmist "Search my heart" (Psalm 139:23) and ask God to "Create in me a pure heart" (Psalm 51:10). The Holy Spirit 'pings' to remind us of the virus of unforgiveness in our heart, the infected files of unhealthy habits and shows us when we have been hacked by bitterness. We need to update regularly but the great news is; God's updates are free, there's no small print and it won't go out of date when a new version comes out next month! What update do you need today? Check in with God and allow His Holy Spirit to 'ping' you and be transformed. Hadn't thought of it like that...good point!